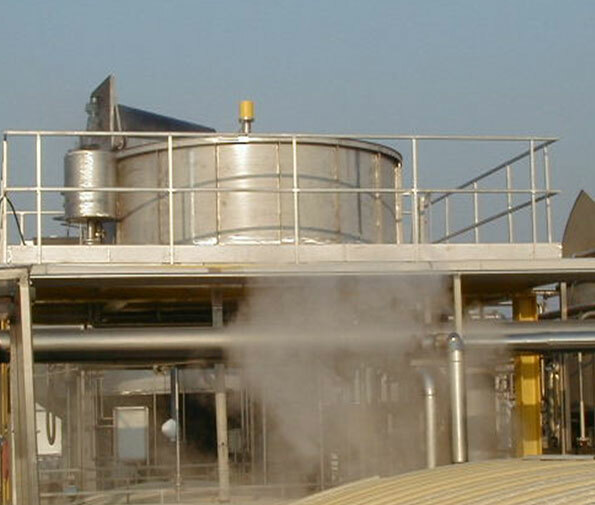 Colloide’s high rate Dissolved Air flotation (‘DAF’) unit has been developed using the most advanced solids/liquid separation techniques available. 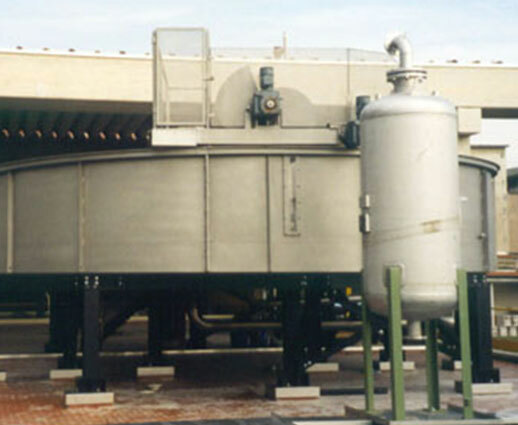 The performance of our DAF unit is superior to that of similar or alternative technologies, both as a clarifier of primary or secondary effluent waters and as a thickener for biological sludge. The simplicity of the design of the AQUA-DAF system is at the core of its high operational reliability and its remarkable versatility. The circular low head geometry of the cell, innovative hydrodynamics of fluids entering and exiting the cell, and the proven efficiency of the floating sludge removal system all contribute to the excellent performance of our DAF system. 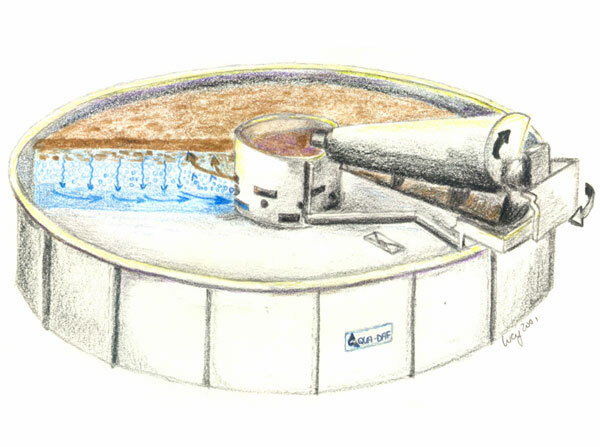 The feed stream, after saturation with dissolved air, is introduced into the flotation cell. The flow spreads uniformly across the tank. The micro air bubbles adhere to the suspended particles creating a floating action on these particles. A thick blanket is formed by the solids at the surface of the cell. These solids are removed using a scum removal system. Before reaching the outlet slots, the under-natant is forced to pass through a filtering bed consisting of a relatively deep section of micro-bubbles. Any heavy solids which might have settled are conveyed into a sump by the bottom scraper. Air dissolving system with efficiency > 90%. High loading rates up to 15 m3/m2 h and 25 kg SS/m2. High tolerance to flow and/or solids input variations. 304L stainless steel construction for all wetted surfaces. Construction in 316 and other stainless steel grades possible. FRP / Titanium construction for special applications. Installation into an existing/new concrete basin. 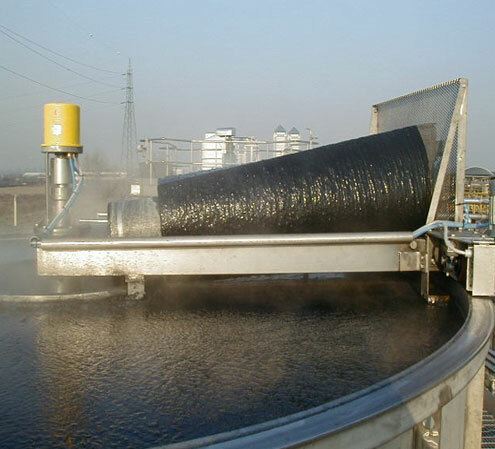 Sludge blanket thickness control system. 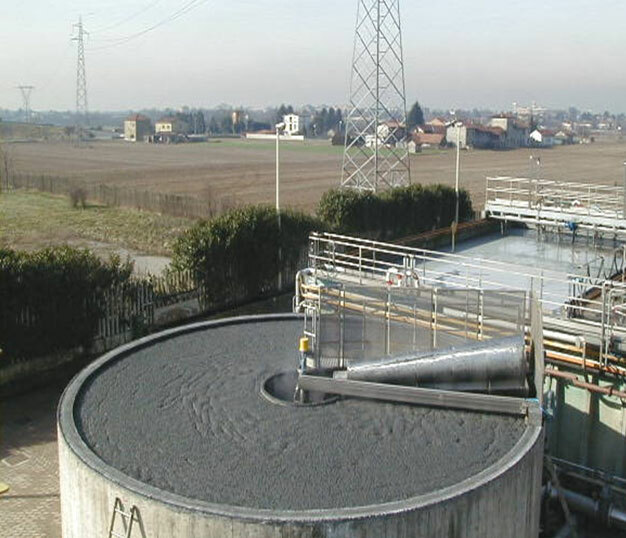 Applications include: wastewater treatment (primary and secondary clarification), sludge thickening, refinery oily wastewaters treatment, white water clarification/fibre recovery in the paper industry, surface waters clarification, algae removal, oil and grease removal and juice clarification in the drinks industry.